Lantern & Scroll is different from the average lighting showroom. As Copper Lighting Company's only factory-direct store, our customers receive the best price on handmade copper lighting, as well as direct access to our designers for custom fixtures through in-store and on-site consultations. Every step of the fabrication process takes place in America which means higher quality and hands on attention. Our showroom has been open since 2009 and the factory has been around for over 25 years. We provide complete customer service to all of our clients. 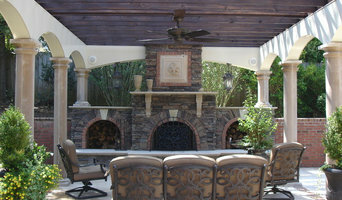 Come in or send us your plans or pictures and we will help you with all of your lighting needs! Visit our destination lighting showroom in Cornelius, NC for beautiful lighting for your home. Our lighting experts are professionally trained to help you design a welcoming and functional environment by selecting the perfect lighting for each room. You will work one-on-one with our staff to create a dream lighting plan within your budget and in harmony with your home's features. Whether you are renovating your kitchen or bathroom, updating your outdoor lighting, or just looking for new lamps for your living room, LightStyles is your local source for lighting, lamps, ceiling fans and outdoor lighting. We look forward to meeting you! Lighting Design's of the Carolinas, Inc. provides residential and commercial design, installation, and repair services in the outdoor lighting industry. Founders Brandon Helms and Brian Groat have over 25 years of experience in the landscape lighting industry, and are considered to be the best in the business. They have been featured in magazines such as Southern Living, American Dream Home, Charlotte Home, Southpark, and Elite Home Decor. 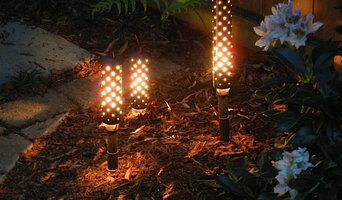 Brandon and Brian also own ClaroLux, a landscape lighting manufacturing and distribution company, which offers the highest quality landscape lighting products in the industry. Their success are due to their attention to detail and professionalism. 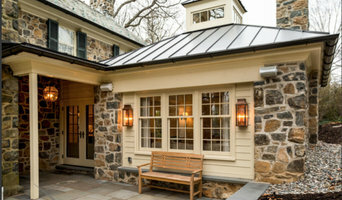 They provide their customers with clear, bright, innovative, and affordable outdoor lighting solutions. When you purchase a Lighting Designs system, you can rest assured that you will receive the best lighting system on the market today...GUARANTEED! Our Business: Lamp shades, unique and custom lighting, glass shades, pendant lights, floor and table lamps, Tiffany lighting and comprehensive lighting repair of most any kind imaginable. We do everything imaginable for lamps and shades including comprehensive lamp and shade repair and restoration, custom lamp shades and lamp appraisals. We also provide replacement glass shades which our artists can hand paint to match your lamp base. In some respects we are like an old world shop, in other ways a modern retailer offering a wide variety of lampshades and unique pendant lights and custom lighting fixtures. Many items are not available in stores or other websites. Call us to speak to a live person 6 days a week or email us and we promise a very quick response. Customer Service is Our # 1 Priority Since 1979: Whenever an inquiry is related to a previous order, it receives top priority. We interrupt other activities in order to provide the service required by our existing customer. Service orders do not enter a sequence queue like production orders. As a consumer I would love to be treated by each company that I deal with on this same level. We view each customer as a treasure hopefully returning to us and recommending their family members, neighbors, business associates and everyone with whom they come in contact. Robert Abbey has been designing and manufacturing fine lighting products since 1946. Our design studio, factory, and general offices are located in Hickory, NC. We are a family focused business- quite a few of our team members are 3rd generation Robert Abbey employees. It is not uncommon to find three (sometimes 4) generations of family and team members on hand at our offices and plant in Hickory. All of our designing is done in house by our creative personnel. Our design team consists of six team members- design director, industrial engineers, and graphic designers. Robert Abbey works very hard to bring our customers the most trend right merchandise with the highest quality standards at the best prices possible. Our timeless designs are executed with uncompromising value and unwavering attention to detail. Lux Fine Lampshades understands there’s nothing easy about stunning interior design. You have a lot of details to consider and decisions to make. We want to simplify the replacement shade process by putting you and your client first. We design and produce quality replacement and custom lampshades. The Decorative Lighting showroom features a great selection of quality lighting products and decorative accessories. Decorative Lighting partners with the leading manufacturers in the lighting industry to provide products for every design preference and budget. Quality In a time when quality service and the economy are in a downward spike, our standard of quality work remains steadfast. At EZ Electric, our goal is to provide excellent service to our customers at a reasonable cost. Commitment We take pride in knowing that our commitment to providing quality service gives our customers exactly what they expect and deserve. Professionalism EZ Electric has a professional staff of certified electricians that have been changing lives through serving residential and commercial customers throughout the Carolinas. GUARANTEE We guarantee the BEST service in getting the job done right and in a timely manner. We want our customers to feel confident in our reputation of providing their home or business with the quality service it deserves. We sell a variety of table lamps, floor lamps, lampshades and accessories. We also have a full repair department. Think about how you plan to use each area of your India Hook, SC home. It's important to communicate to your South Carolina lighting designer which space will be used as an office and which will be a media room, for example, as these will require very different lighting methods. In addition, consider how you'd prefer to control the lights. Lighting technology today includes dimmers, sensors, photocells (that let lights react to the amount of daylight in a space), programmable scene controls (that let you program different settings for varied lighting) and whole-house lighting controls (that let you control all or a portion of your home's lights from one source), allowing you to tailor your lighting controls however you wish. Find a lighting designer on Houzz. Narrow your search in the Professionals section of the website to India Hook, SC lighting designer. 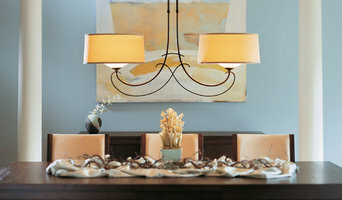 You can also look through India Hook, SC photos by style to find a lighting design you like, then contact the designer.